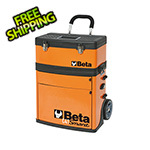 The C41H is ideal if you need to move around a lot of tools in the smallest possible package. 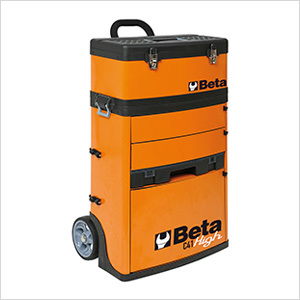 This super-compact rolling tower is really 3 toolboxes in one. The sheet steel construction and plastic tops make this cabinet surprisingly strong and durable. 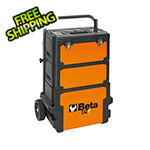 Even though it weighs just 47 pounds empty, each drawer can hold up to 33 pounds of tools. The telescoping handle and oversize wheels make it easy to maneuver up and down flights of stairs.